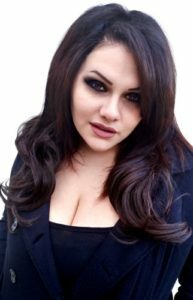 AnimeIowa is pleased to announced Lauren Landa as a 2019 Guest of Honor! Within the world behind the mic, she is most known for roles such as the ninja beauty, Kasumi in Dead or Alive 5; the seductive Litchi Faye Ling in the popular fighting games BlazBlue: Calamity Trigger, as well as the sequels BlazBlue: Continuum Shift, and Continuum Shift Extend; Chrono Phantasma; the badass Kyoko Sakura in Puella Magi Madoka Magica; the enthusiastic Yan Leixia in Soul Calibur V; the deadly Little Queen in Tales of Graces; the valley girl racer in pink, Boiboi, in REDLINE; the adorable zombie Squigly in Skullgirls; kind hearted Leia in Tales of Xillia; the innocent Chubo Sonken in IkkiTousen: Great Guardians, the quiet Annie Leonhardt in the hit anime series Attack on Titan, One in “DrakenGard 3”, Nora in “Noragami”, Sailor Neptune in the VIZ Media’s Sailor Moon, Merlin in “The Seven Deadly Sins” and many more! She has also had several other roles in anime and video games such as Leeza, (Blazing Souls Accelate), Arf and Chrono Harlaown (Magical Girl Lyrical Nanoha/ A’s), Kirche Van Zerbst, (Familiar Of Zero) Aegil, Cotton, Sasha (Rondo of Swords), Lila (Summon Night Twin Age), Rina (Luminous Arc 2), Yoko (Sakichi Satô’s Tokyo Zombie), Sy-Fy channel’s anime addition (Monster) and more! This entry was posted in AnimeIowa 2019, Guests on September 10, 2018 by AnimeIowa Exec.